Think “sugar free” means safe for your teeth? Not according to recent research investigating how sugar-free beverages impact dental health. In the study, researchers divided participants into two comparison groups, with one group consuming sugary drinks and the other sugar-free drinks. Of 15 drinks tested, only one (milk) did not cause tooth decay in both groups. The researchers then compared water, cola and eight different sports drinks to assess their impact on dental health, finding that while water caused no decay (as might be expected), cola caused the worst rates of decay and all sports drinks except those infused with calcium caused decay as well. So the next time you see “sugar free” on a product label, particularly sugar-free drinks, remember that when it comes to protecting your teeth, think water first and often; think sugar and sugar-free drinks only on rare occasion. Your teeth will thank you for it. 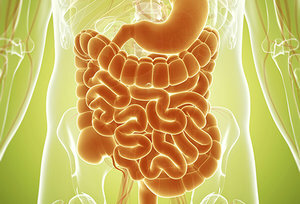 The digestive tract is one of the most diverse and complicated systems in the human body. Responsible for breaking down the foods we eat, absorbing their beneficial nutrients and ultimately eliminating the waste, our digestive system has its work cut out for it. Many of my patients at my clinic of integrative medicine have sought advice about heartburn, indigestion or cramping without fully understanding the link between the gut and immune system. As the first entry point for exposure to pathogens and other bacteria, the digestive system is home to more than 80 percent of the body’s immune tissue. A healthy gut is often a sign of a healthy immune system, and vice versa. With the increase of additives and preservatives in our foods, in combination with long-term exposure to substances like caffeine, alcohol and medications, the delicate balance of bacteria within the gut is affected, leading to the uncomfortable belly aches we’ve all experienced at one time or another. That being said, balancing the digestive tract and repopulating it with good bacteria is as simple as incorporating a few gut-friendly foods in your diet. Try adding these foods to your daily diet if your gut’s in a rut. Kimchi: This traditional Korean side dishcontains a mix of cabbage, spices and vinegar that’s fermented and fully loaded with healthy bacteria called lactobacilli. Eating kimchi or other fermented condiments such as sauerkraut and pickles helps inoculate your belly with good bacteria, maintain colon health and break down food better. Chia Seeds: These tiny seeds pack a mighty punch – a 1 ounce serving (about 2 tablespoons) boasts a whopping 11 grams of fiber, 4 grams of protein, and more than 30 percent of your daily manganese, magnesium and phosphorous intake. The amount of fiber in chia seeds helps keep you full, while also maintaining optimal colon health. When left to soak in water, chia seeds expand and form a gelatinous coating, meaning a little goes a long way: if mixed with a smoothie or in oatmeal, these powerful seeds expand and keep you full longer. Chia seeds are also high in omega-3 fatty acids, which play a crucial role in maintaining brain health. Kefir: A dairy product made from fermented milk, kefir is often described as a drinkable yogurt. With a slightly sour taste, kefir is a powerful probiotic that contains live and active bacteria and yeast cultures, all of which help replenish bacterial imbalances in your gut. Kefir also contains high levels of vitamin B12, an essential nutrient that aids with brain and nervous system function; as well as calcium, magnesium and folate. If kefir’s tangy taste is too hard to stomach, substitute it with a few spoons of Greek yogurt, another probiotic powerhouse. Notes: Avoid this if you are sensitive to dairy and look for low-sugar options. Legumes: Beans, lentils, peas and the like all boast high fiber and protein content while maintaining a low glycemic index, meaning they are digested, absorbed and metabolized slowly and cause a slower rise in blood glucose levels. Legumes are therefore not only filling and satisfying; their high fiber content also helps maintain beneficial bacteria in the intestinal tract. Legumes help release short-chain fatty acids, which strengthen intestinal cells and improve nutrient absorption. Cruciferous vegetables: Broccoli, cauliflower, cabbage and kale are just some of the cruciferous veggies that pack in an array of vitamins and nutrients in relatively few calories. No other vegetable group has such high levels of vitamin A carotenoids, vitamin C, folic acid and vitamin K. These greens also boast high fiber content, which help keep you satiated and maintain a healthy colon. Cruciferous vegetables contain glucosinolates, sulfur-containing compounds that have been linked to reducing inflammation in the digestive tract.